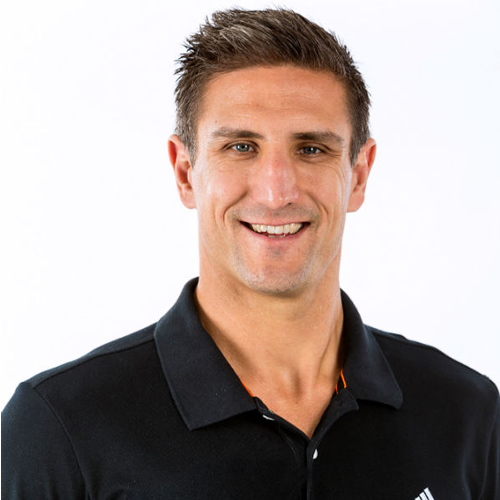 A super athlete and Fremantle Football Club’s most decorated player in its 21 year history, Matthew Pavlich is among the game’s biggest stars. His combination of size, speed and skill mean he was one of the AFL’s best all-round talents. While still underage, Matthew represented the SANFL and was an imposing centre half forward for Woodville-West Torrens. Earmarked as a future AFL star, Matthew was selected by Fremantle (Dockers) with the fourth pick in the 1999 National Draft. He fulfilled such promise, starring in a number of on field positions for the Dockers being one of the club’s leading possession getters for the last 16 years. Pavlich was named Captain in 2007, a position he held at the Club for nine years. His amazing career has seen Matthew named in the All-Australian team six times in an astonishing five different positions and also winning six Doig Medals and eight club leading goalkicker awards. He was the Dockers’ career leader in games played and goals, Matthew was dominant as ever in 2012, with his six-goal performance spearheading the club to the first finals win in Melbourne against defending premier Geelong at the MCG. Matthew led Fremantle to the club’s first AFL Grand Final appearance, unfortunately losing to Hawthorn. In 2014 Matthew played his 300th game making him the only Fremantle player in their short history to reach this milestone. One of the most recognisable people in Western Australia, Matthew is also known as an excellent media performer, working with media organisations such as Channel 9 and The West Australian newspaper. Matthew’s autobiography ‘Purple Heart’ was published by Pan MacMillan in 2015 with the book selling out in most stores almost instantly. With long standing relationships with significant corporate partners in Western Australia, Matthew is also one of the most accomplished corporate and leadership speakers around. All Australian: 2002, 2003, 2005, 2006, 2007 and 2008.